Jamie Squire/Getty ImagesLunch at the Masters is likely the cheapest meal you’ll find in all of sports. The Masters is an expensive ticket to get, but once fans are at Augusta National, prices are relatively reasonable, especially for those looking to eat. 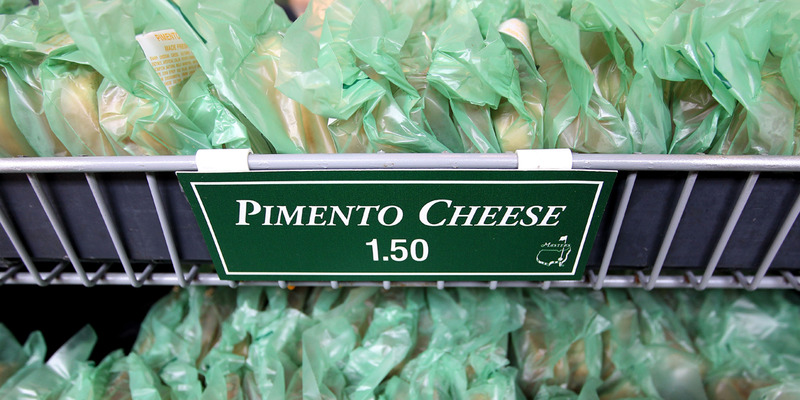 At Augusta National, fan favourites like pimento cheese and egg salad sandwiches go for just $US1.50 each, and fans can get a beer for only $US4. The low price of concessions is one of the many traditions of the Masters that is unlikely to change any time soon. The Masters is one of the most expensive tickets in sport, with golf fans sometimes paying upwards of $US6,000 for the pleasure of taking in all four days of action at Augusta National. But while the cost of getting through the gate is exorbitant due to demand on the secondary market, once inside the event, prices become unbelievably cheap, especially for those looking to grab lunch. At a baseball or football game, you might expect to pay close to $US20 for a hot dog and a beer, possibly more if you’re looking to get a more extravagant meal. But at Augusta National, you can buy any item on the menu as long as you have five dollars in your pocket. Take a look at this year’s prices at the concession stands. It is a unique menu in the world of sports not only for its prices but for the food itself. Rather than staples like hot dogs, chicken fingers, and cheese fries, guests at Augusta National can enjoy egg salad and pimento sandwiches, for $US1.50 each, and wash it down with some fresh brewed Georgia iced tea. For dessert, treat yourself to a Georgia peach ice cream sandwich. The low menu prices give fans taking in a full day of golf a chance to feast in the afternoon, assuring no one goes hungry. While prices still seem ridiculously cheap to your average sports fan, golf purists might note that a few prices were raised last year, with the cost of the blueberry muffin, chips, and peanuts all rising 50 cents since 2017. That said, if you had the cash necessary to get in the door at Augusta National, chances are paying $US1.50 for a bag of chips isn’t going to break the bank.